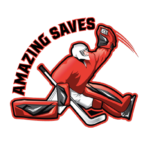 Amazing Saves Combo-Private lessons brings 2 players of similar skill level, 1 goalie and 1 skater, together to create a unique learning session. Coach Bill or one of his Goalie Coaches will team up with one of his many “Skill” coaches to create separate and then combined practice plans for the goalie and skater. The advantage a combo-private lesson offers is the ability to have a private lesson with a coach and then combine the skills that were taught to game situation drills against another player. Plus, the added benefit of the shared cost of the ice time. Each private will be custom tailored to the two players needs and current skill level. Combo-Privates for goalies can be set up in two formats. The Multiple Skill Development Model or the Single Skill Development Model. The players Skill Development Plan will be provided by the Skills Coach after a short conversation about the players’ needs and requirements. A typical session would consist of 5-10 minutes of separate and or combined warm up skating and edge work. 30-35 minutes of separate skill development than 20 minutes of combined game situation drills that pit the skater against the goalie with the coach’s added in. **Consider reserving a package of 5 or more sessions to save $$ and then let the coaches create a Structured Combo – Private Plan that builds a curriculum from the multiple skill list below. **To arrange for a Combo Private session with Coach Bill or one of his Coaches simply click on the “Book Now” button towards the bottom right of the page and you will be led to the registration page. Save 10 % by booking a package of 5 or more sessions! Typical Rinks’s Stick and Puck Cost: $30-$50 for Coach and Player for the hour.